The .380 ACP and the .38 Special are popular pistol cartridges commonly used for self-defense purposes. Although anyone green in the world of firearms can get confused with the two, it’s easy to draw comparisons. This article highlights their major differences. The .380 ACP (Action Colt Pistol) is a pistol cartridge with a rimless and straight wall case. This 9x17mm cartridge was developed by American firearms maker John Moses Browning. It was first used in the semi-automatic Colt Model 1908 pocket hammerless pistol. The .380 ACP grew in popularity as a self-defense cartridge for many smaller handguns around the world. The .380 ACP is known by other names such as the .380 Auto, 9x17mm, 9mm short, and 9mm Browning to name a few. The .380 ACP is not to be confused with the .38 ACP 9mm Makarov, 9mm Parabelleum, or the 9mm Ultra. The .380 is lightweight and compact, but has a lower stopping power and shorter range compared to other modern handgun cartridges. Despite these drawbacks, the .380 ACP is still a popular self-defense ammunition. It is preferred by individuals who need a small and lightweight pistol with minimal recoil. Experts attribute this preference to the legalization of concealed carry in addition to the inexpensive and compact pistols that use the .380 ACP. The .38 Special, or .38 Smith & Wesson Special, is a rimmed and straight-walled centerfire ammunition commonly used in revolvers. Designed by Smith & Wesson, the .38 Special is also used in several semi-automatic handguns and carbines. It was the preferred service cartridge of the US police force during the 1920s until the early 1990s. In addition, it was a commonly used sidearm cartridge in World War I. In some parts of the world, it is called by its metric designation of 9.1x29mmR or 9×29.5mmR. The .38 Special has been around for over a century and is the most widely used revolver cartridge in the world because of its deadly accuracy and manageable recoil. It is the cartridge of choice for self-defense, target shooting, professional target competition, and small game hunting. The “.38” part of the name actually refers to the diameter of its loaded brass case and not its cartridge which is .357-.358 inches. Despite having a different case length, the .38 Special is similar to the .38 Long Colt and .357 Magnum. This means a .38 Special round can be safely used in revolvers with a .357 Magnum chamber and .38 Special-chambered .38 Long Colt revolvers. However, a .357 cartridge will not usually fire in handguns specifically made for a .38 Special cartridge. So what’s the difference between the .380 and the .38 Special? Both cartridges have been in action for over a century and are commonly used for self-defense. Despite these similarities, these cartridges are not interchangeable. 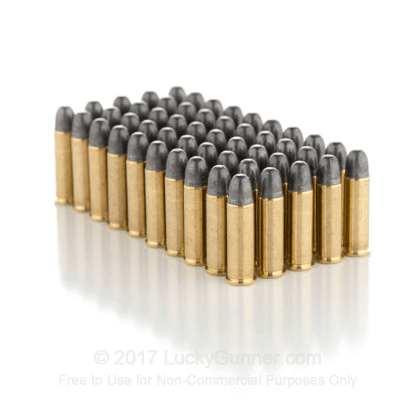 The .380 ACP cartridge uses bullets measuring .355 inches in diameter while the .38 Special has bullets with a diameter of .357 inches. 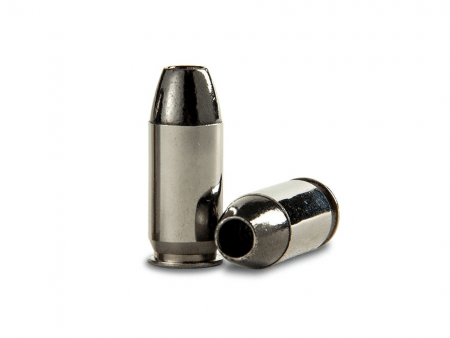 A .38 Special bullet is also characterized by a longer case and thus, it is longer and heavier than the .380 ACP. This also means more gunpowder can be used on a .38 Special. This gives the .38 Special a slight advantage over the .380 in terms of stopping power and speed. Here’s a YouTube clip comparing the power of .380 ACP rounds and .38 Special rounds.